This screen allows you to edit the comment, including the author's name, email and URL, as well as the body of the comment. 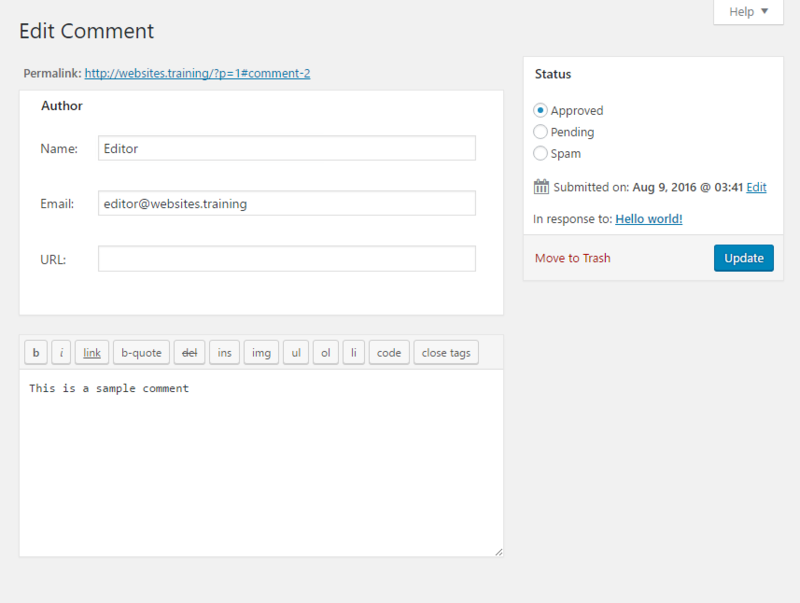 You can also change the status of the comment by using the radio buttons in the right-hand side Status widget. To save your changes, click on the Update Comment button or click on the Move to Trash link to move the comment to Trash.